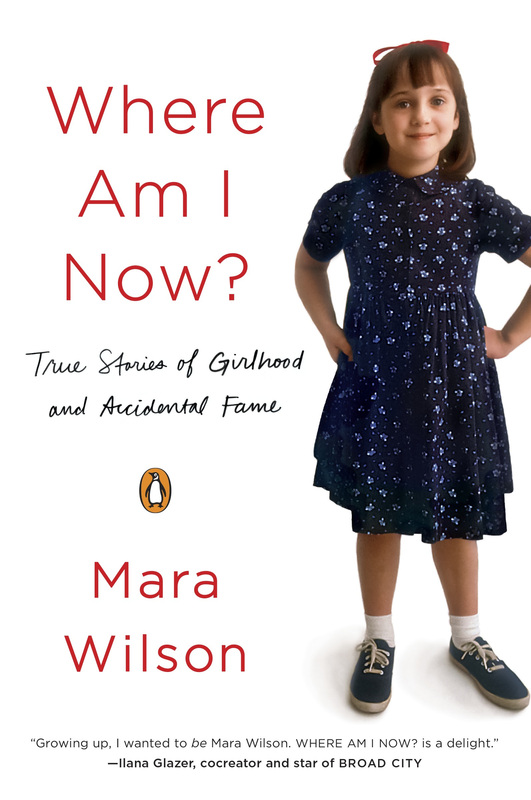 Actress and writer Mara Wilson’s memoir Where Am I Now? True Stories of Girlhood and Accidental Fame is slated to hit bookshelves on Sept. 13, but you can get a first look at the book’s cover art now. Perhaps best known for her roles in Matilda and Mrs. Doubtfire, Wilson’s writing has appeared on McSweeney’s, Reductress, Cracked and The Toast. She also voices The Faceless Old Woman Who Secretly Lives in Your Home on podcast Welcome to Night Vale, in addition to hosting her own live show about fears and anxieties, held at Brooklyn’s QED and titled What Are You Afraid Of? Wilson’s book, which is being published by Penguin, focuses on much more than her present. Where Am I Now? chronicles Wilson’s journey from childhood stardom into happy obscurity. Feeling out of place is something familiar to Wilson and she tackles that from just about every angle possible. From being the only child on a film set full of adults to the first daughter in a house full of boys, Wilson gracefully and endearingly relives what it was like to be surrounded by stardom and then grow up with it, watching as it trickled away. Ultimately, Wilson’s book asks two pivotal questions: how do you accept yourself and where do you belong? Where Am I Now? is currently available for preorder. Check out the cover art below.